Co-trainers Ciaron Maher and David Eustace have landed a Caulfield treble, including Bons Away. Co-trainers Ciaron Maher and David Eustace have played a starring role at Caulfield with a winning treble on a day their stable inherited some high-profile horses. In the fall-out from Racing Victoria stewards issuing six charges to trainer Darren Weir who faces a scheduled show cause hearing on Monday, a number of horses have already been transferred by their owners to other trainers. Victoria Derby winner Extra Brut and Group winner Night’s Watch are two of the horses now listed as being trained by Maher and Eustace. “We’ve got a few” Maher said. None of the horses Weir had listed to race this weekend were allowed by stewards to compete until after the determination of the adjourned show cause hearing on Monday. The Maher and Eustace-trained Bons Away ($8) took advantage of early favourite Nature Strip’s withdrawal from Saturday’s Listed WJ Adams Stakes, sitting in behind leader Written By ($1.65) before pouncing along the rail late in the race to beat the Group One-winning colt by a long neck. Encryption ($7) was another two lengths away third. 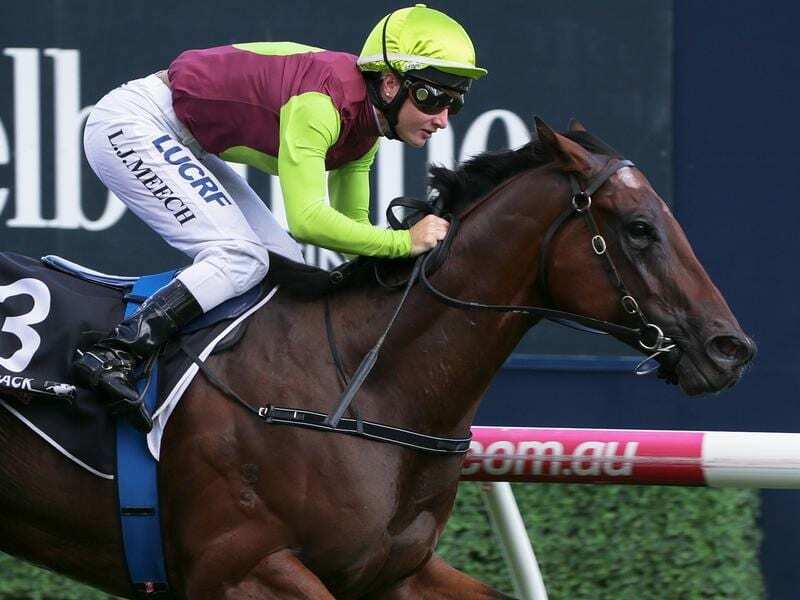 Bons Away brought up the treble for Maher and Eustace who earlier had Naantali win the John Moulee Handicap (1400m) before exciting two-year-old filly Loving Gaby led in a stable quinella in the Group Three Chairman’s Stakes (1000m) with an impressive debut performance. Bons Away was narrowly beaten in last year’s Oakleigh Plate when fifth in a blanket finish and he has shown he is on target for another crack at the Group One sprint with his win on Saturday. “It’s a race that we’ve really targeted and it looks like he’s come back super,” Maher said. The Grahame Begg-trained Written By will be set for a rematch with Bons Away in the Oakleigh Plate after suffering his first defeat in five Caulfield starts.